Long ago I studied Science and maths at school. Then I did the same at a Johannesburg Varsity. (RAU) in those days. Then did a lot of interesting things like management, business and so on. Taught primary and high school kids in Limpopo. That's very far North,if you life in the WC… Working full time as a Continious Improvement Manager that supplies WW with nice food. And now I would like to help scholars achieve there potential. We tackle the issue with a very positive approach. Find the method that suits you best to understand, manage and master the different learning areas. Continue working hard until you have confidence in yourself and the work. RobertFrom Lorin (5/5): Robert is very professional and patient with my daughter. Since he has started giving her lessons she has a renewed hope in her Maths and defintiley showing greater signs of understanding and the simplicity of maths. RobertFrom Jemma (5/5): Rob has been absolutely fabulous in working with Jemma. Within the first 4 months, Jemma's maths mark improved by 11% and has consistently remained up. He is personable, patient, dedicated and she feels very comfortable asking him any questions about her maths. Reply from: Robert: Thank you. Much appreciated. 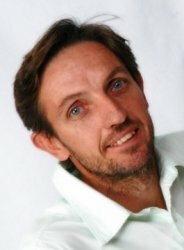 RobertFrom Willem (5/5): Rob het n unieke en besonderse manier van verduidelik dat jy nie anders kan as om te verstaan. My seun het nou die aand voor 'n fisika toets 'n effense "melt down" gehad. ek het met Rob kontak gemaak en sonder om te skroom het hy gekom om te help. Hy gee om en is bereid om uit sy pad te gaan om te help. Hy is vriendelik en my kind is baie gemaklik in sy teenwoordigheid. My kind se punte het drasties verbeter, te danke aan Rob se bydrae. Reply from: Robert: Baie dankie vir die vriendelike woorde. Wardeer. RobertFrom Karl (5/5): I had my first Maths lesson with Robert and what a pleasure!!! He takes you through all the steps and very thoroughly. He is extremely structured which I absolutely loved. When I was stuck at a certian point in Differentiation and/or Limits (Calculus), he took a simpler example and explained the principle to me and I immediatley understood where it all comes from and falls into place. For the first time ever, I actually saw what a function of a variable eg. x or y (f(x)=3x²) would look like on a Graph if one had to plot it after deriving to the final answer. He travels to your house which is within your own comfort and saves you petrol and tutors you the Maths. RobertFrom Gina (5/5): Rob is committed and patient and has a true calling for teaching. We are all super impressed with all the excellent work he does and continues to do with our daughter. RobertFrom Con (5/5): We are very impressed with Rob, he is a reliable, trustworthy and positive tutor. Rob has been helping our 2 boys with Maths for 2 years now and there Maths results and confidence have shown steady improvement. Thanks Rob, for your hard work and late afternoons. Reply from: Robert: Thanks so much Con and Alethea. Much appreciated. RobertFrom Scherre (5/5): Rob is a amazing tutor and very patient. My daughter has grown so much under his guidance. Reply from: Robert: Thank you so much Scherre. A Honour and privilege. RobertFrom Lynn (4/5): We found Rob to be very patient and was willing to explain the Maths over and over until Josh understood it. Although ours was not a usual request as Josh was studying GED, an American based curriculum, Rob was prepared to investigate and help Joshua in his studies. We always found him to be punctual and he was prepared to come to our home which suited us very well. The most important thing is that Joshua passed his Maths exam when he rewrote it and now has obtained his GED which is a senior certificate equivalent which has been accredited by SAQA. Thanks Rob! Reply from: Robert: Thank you Lynn for your positive feedback. I have seen through a link that Josh is doing homecare. Trust he is doing well. I do believe that there is hugh potensial in the field. RobertFrom Cathy (5/5): I am very happy with Rob who has been tutoring my 11 year old daughter in Mathematics for over a month now. I am particularly taken with his intelligent, patient handling her as she grapples to overcome the difficulties she has with mathematics and problem solving. I find him very polite with an engaging personality. I like his steady, gentle and sympathetic approach to teaching. Reply from: Robert: Thank you so much for the positive feedback.